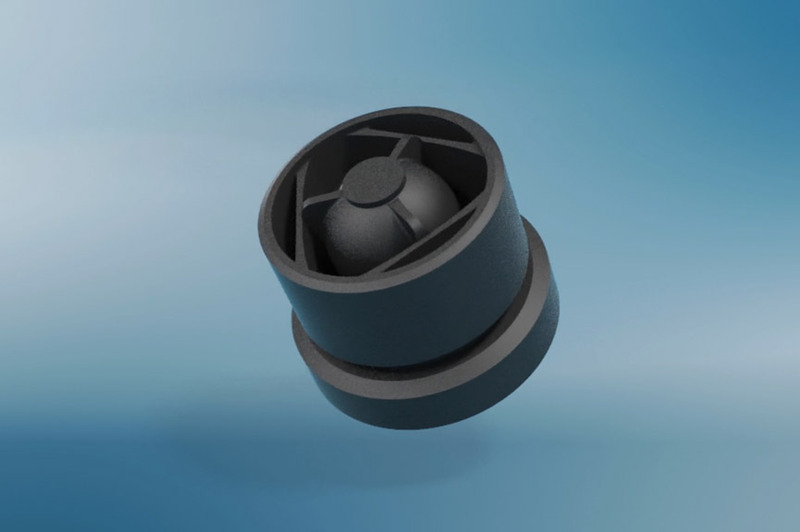 SNAPLOC® joins without transmitting vibrations or noise. 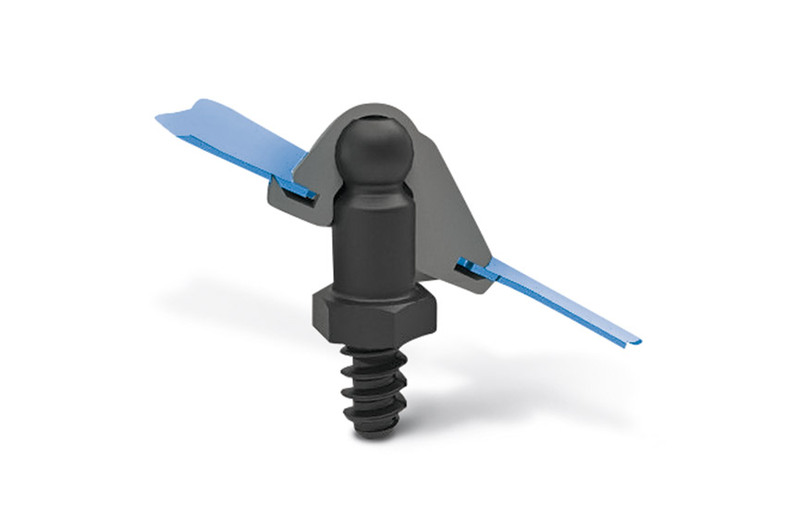 The two-piece SNAPLOC® fastening system consists of a ball stud and a coupling for quick assembly and is based on the principle of a simple snap connection or plug-in connection. 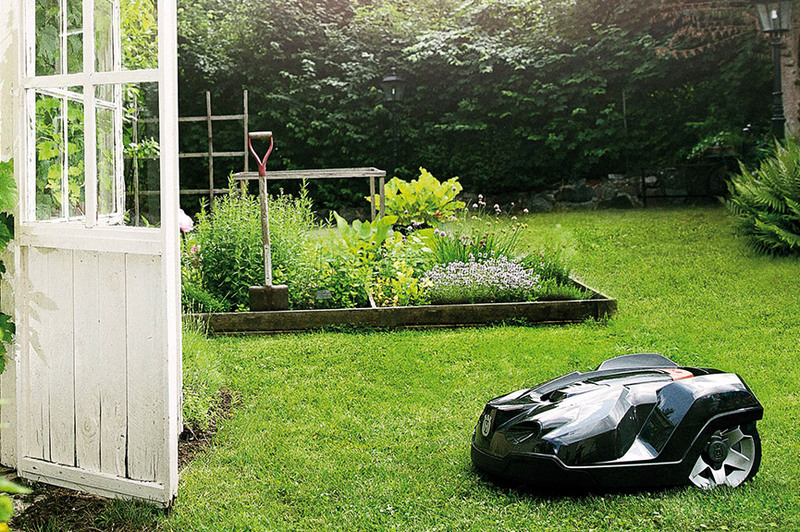 Two-piece design, for easy assembly. When the ball stud snaps into the ball socket inside the coupling, a tolerance‑compensating, vibration and noise‑decoupling joint is formed. SNAPLOC® can be used in many different sectors, for example in plant engineering for extraction ducts in rolling mills, in filtration systems for attaching the filter frames, or in crane building for cab housings. 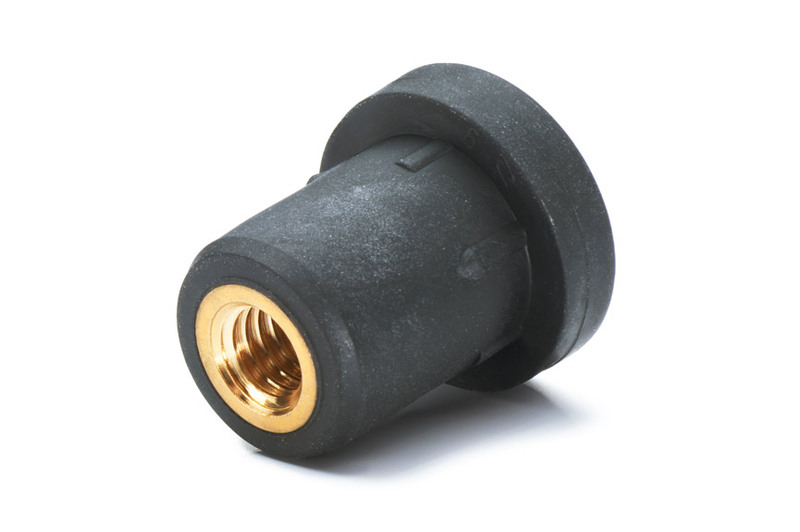 Decoupling SNAPLOC® plug‑in connections are also widely used in the automotive industry. A simple principle for complex requirements: push together to join, pull apart to release. Low vibration and noise. Vibrations are not transmitted from one component to the other. Simple and economical. 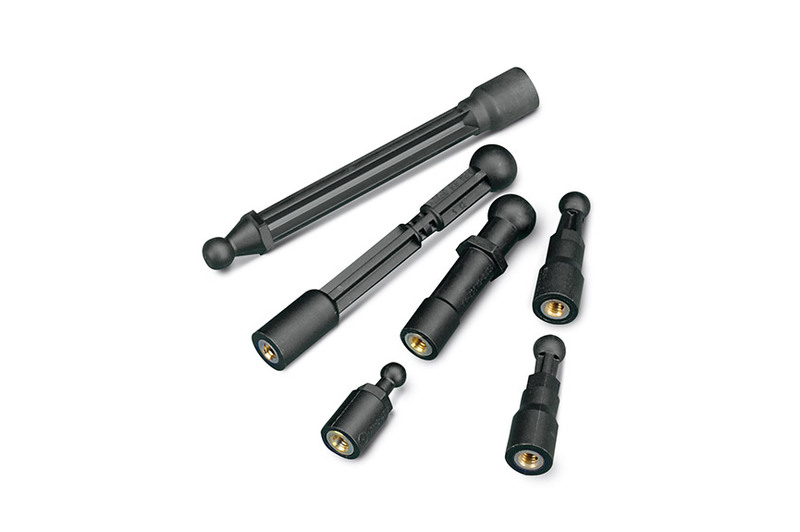 With only two parts – ball stud and coupling – SNAPLOC® simplifies production processes. More design freedom. 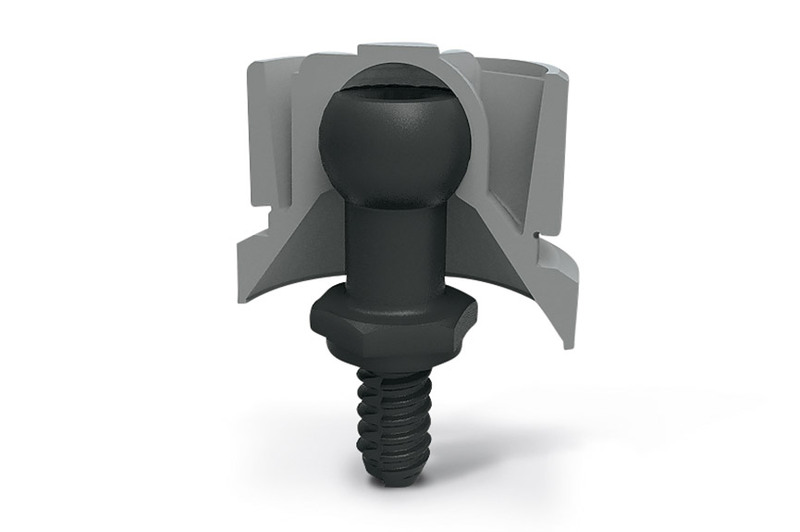 With the right fastening options for every application. Completely unobtrusive. 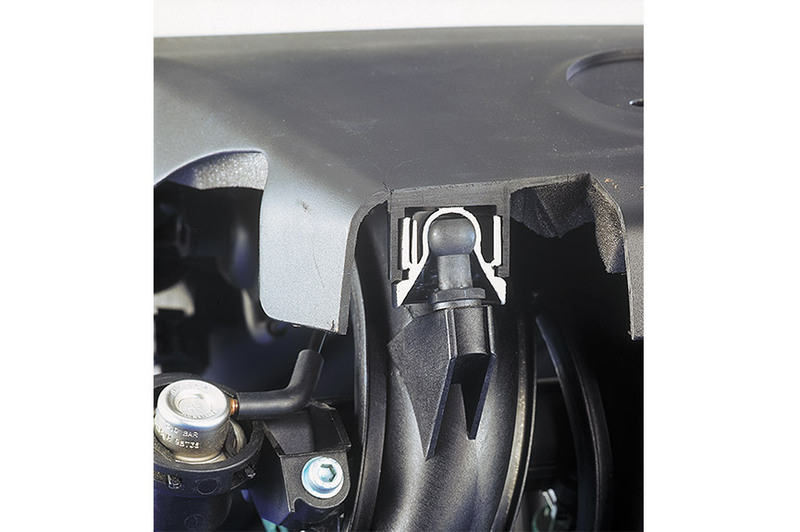 SNAPLOC® fasteners can be integrated into the component design. 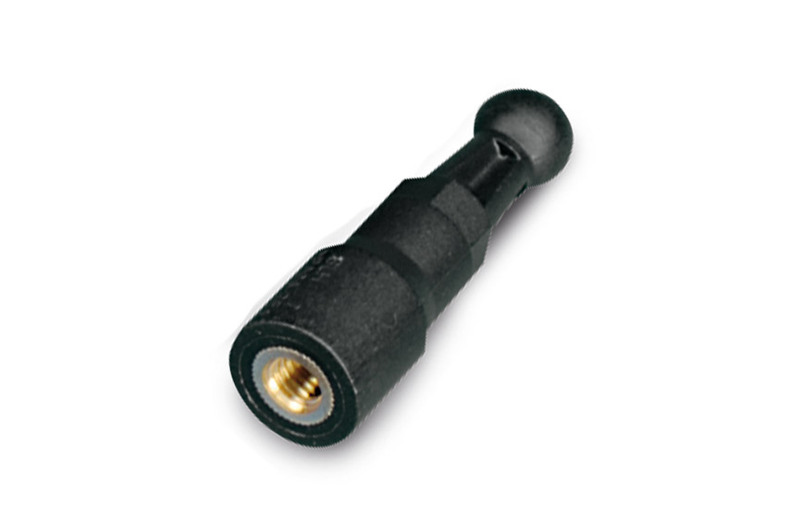 A ball stud, a coupling – the simple principle behind SNAPLOC® plug‑in connections provides a perfect fit combined with simultaneous vibration decoupling. Inside the coupling a ball socket is formed, in which the ball stud can snap into. 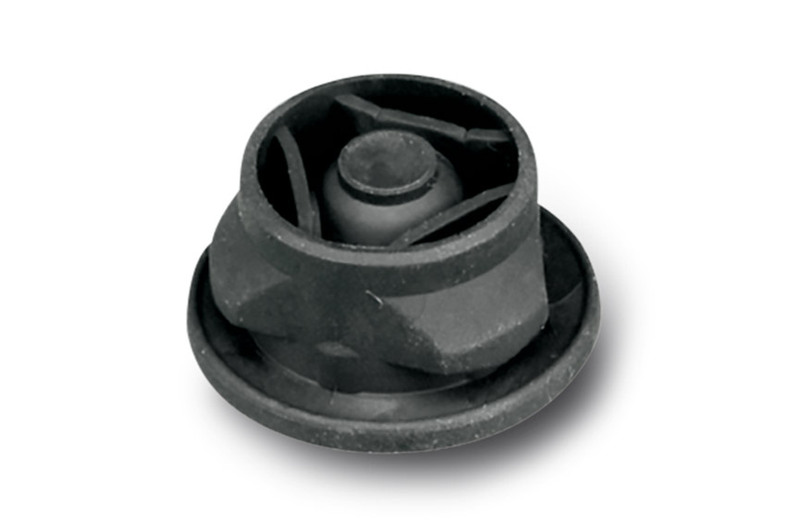 The coupling of the plug‑in connection is mounted on the base of the component in the fitting provided and held in a closed‑form. 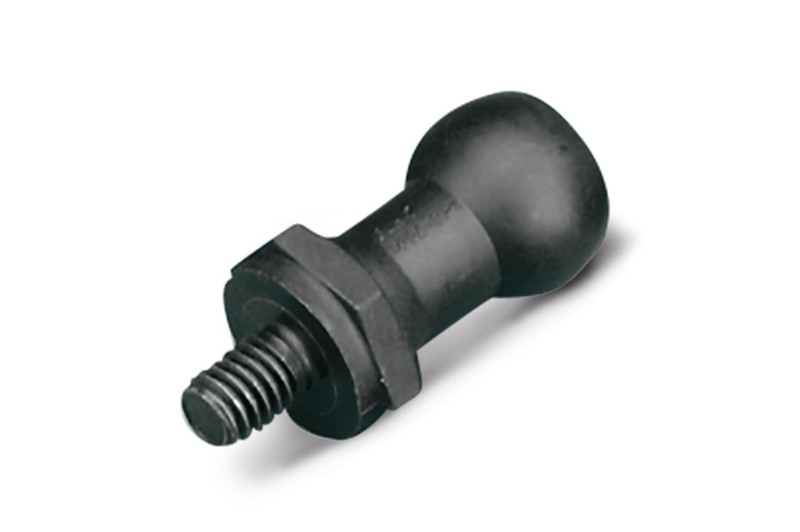 Depending on the design, the ball stud can be screwed, bonded or clipped onto the corresponding component. Joining occurs easily by plugging in and disassembly by pulling apart. 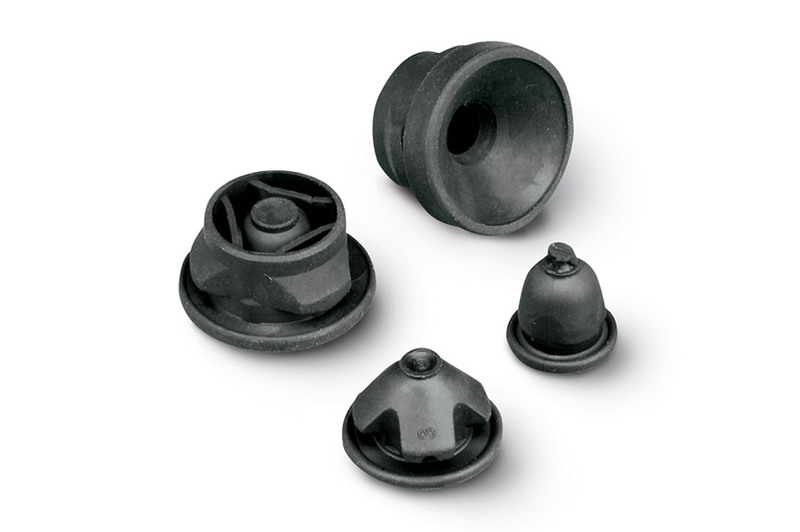 The ball studs are made of high-quality plastics, such as PA6, PA66 or PPA containing 30 % or 50 % glass fibres. The forces to be transmitted in the connection are restricted by the couplings. 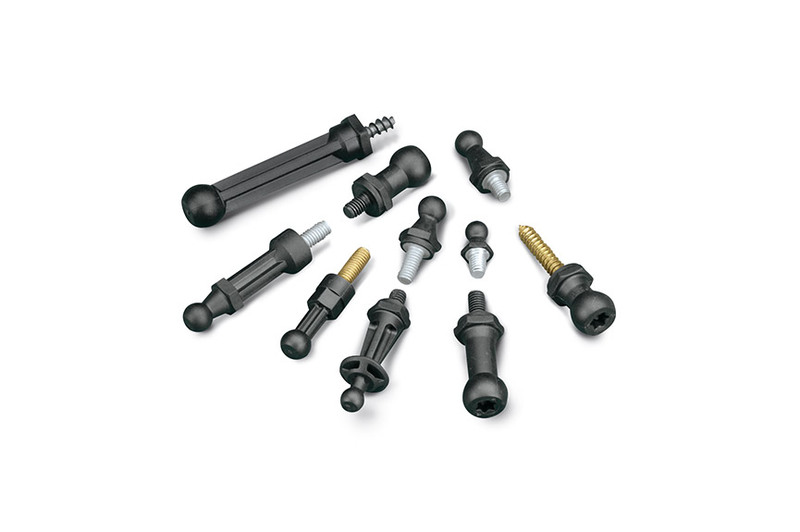 In addition, a ball stud made of plastics offers the advantages of thermal and electrical insulation. Depending on the thermal and mechanical requirements, as well as fluid resistance, we select the appropriate materials. 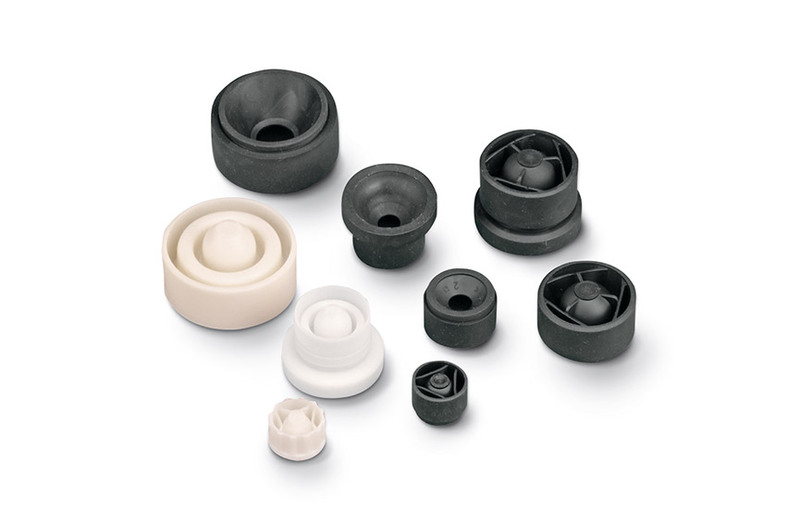 Crosslinked elastomers/rubber or thermoplastic elastomers are used in injection moulding. For more information and comparisons of TPE classes, please refer to the SNAPLOC® product catalogue (4350) in the “Downloads” area. 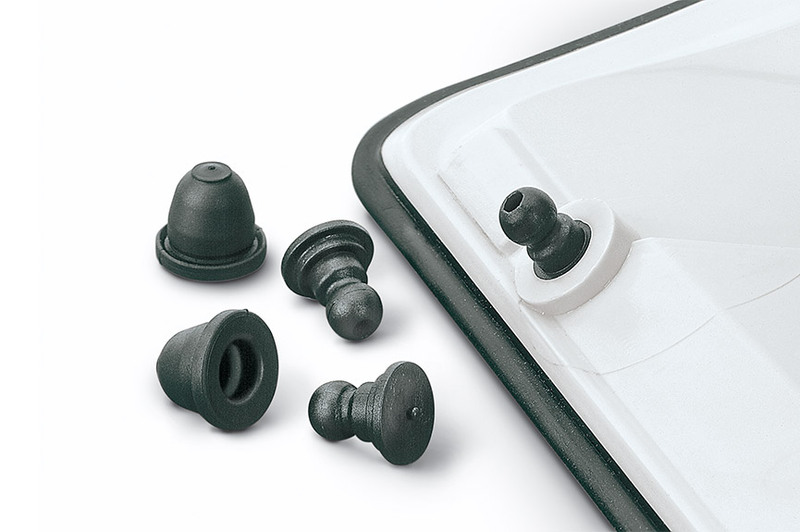 The metal external threads of the ball studs are metric or self‑tapping (in plastic). Other thread types are possible on request. 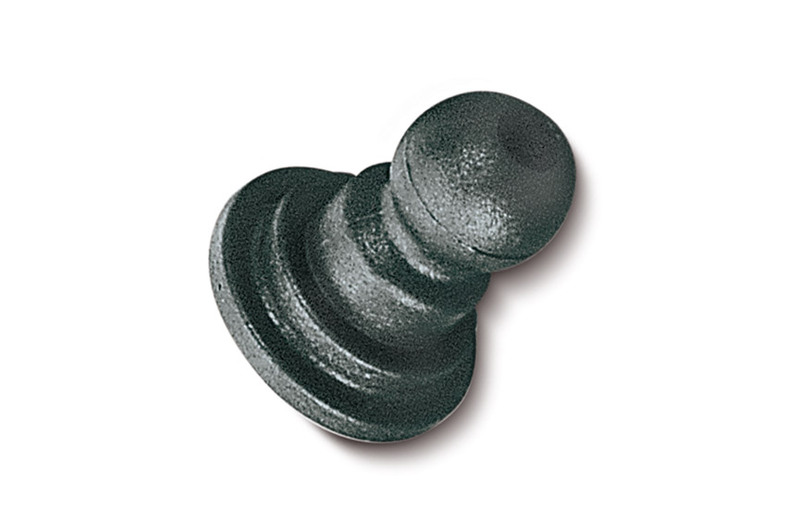 The metal internal threads of the ball studs are usually metric. Other thread types are possible on request. 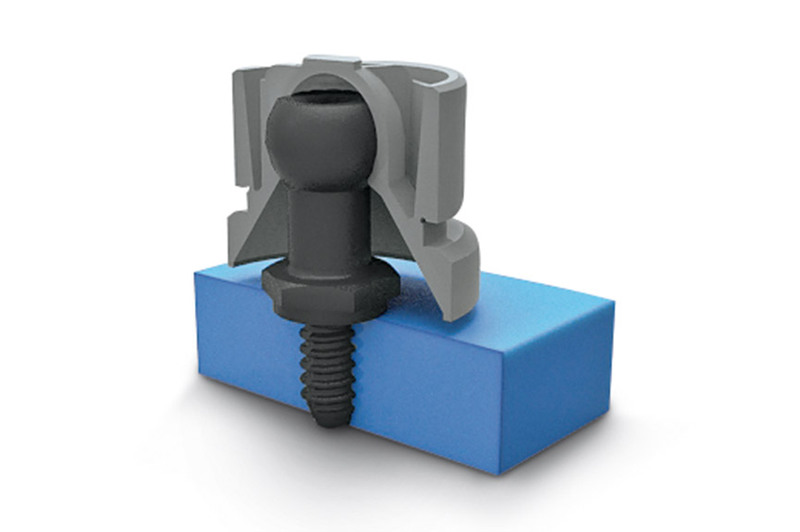 With its special developed thread profiles, SNAPLOC® with K’ in K’ function enables a solution for self‑tapping screw connections. The patented thread geometry of the K' in K' principle is vitally important. The K’ in K’ thread forms or cuts into a cylindrical drill‑hole a holding thread. 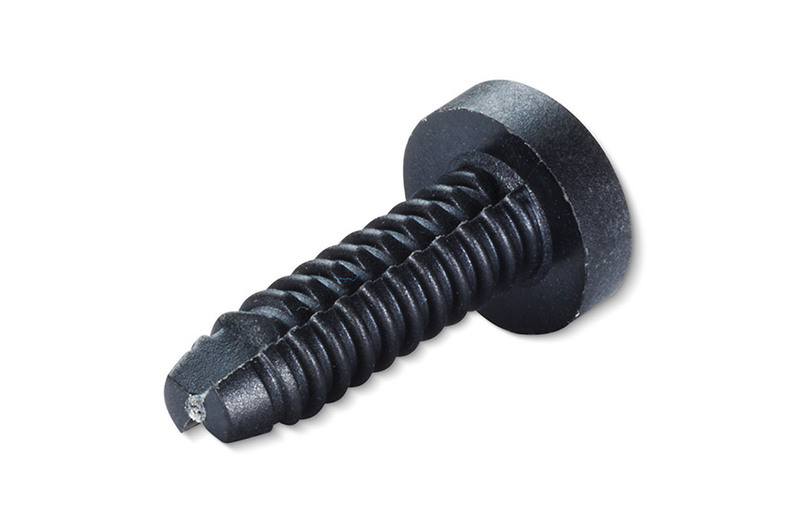 Due to the special thread form of the K’ in K’ thread, the screw is locked against loosening. 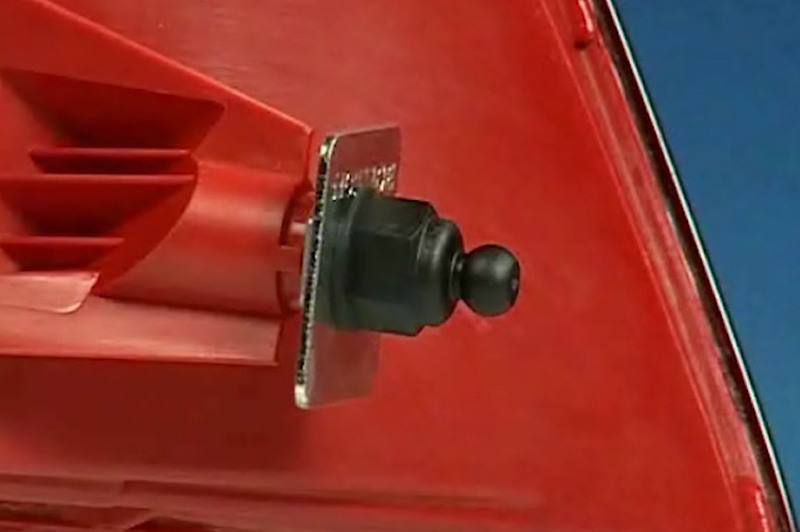 In combination with the receiving component, a self‑locking device is realised. To unscrew the thread, a higher torque is necessary than during installation. 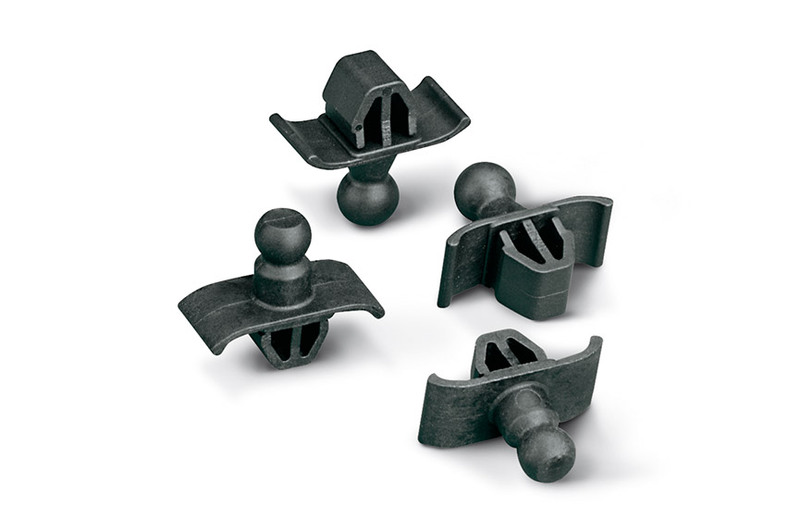 Based on the special geometry of the parts, these ball studs may be fastened by simply being clipped into an opening. 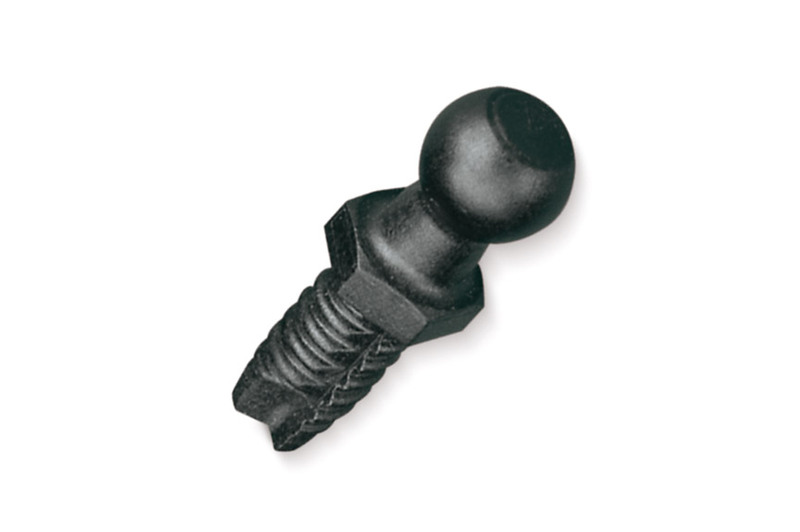 A fastening solution which is highly suitable for applications in which a thread or stud cannot be inserted into the part. 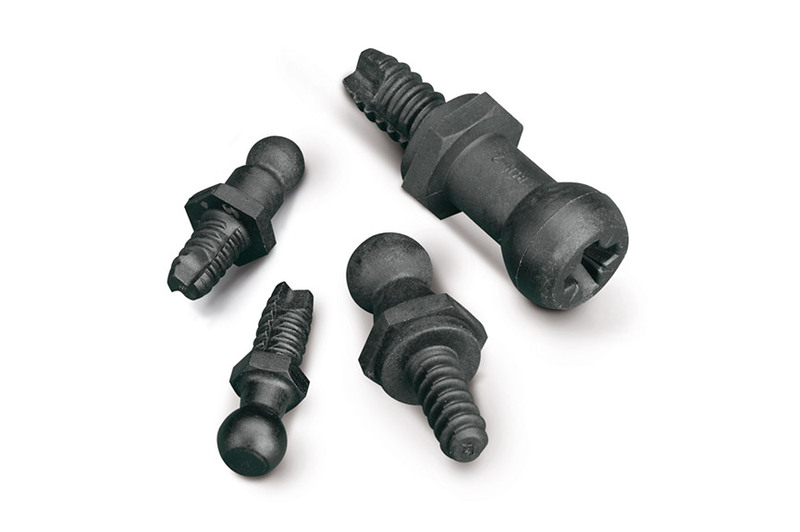 For cost‑effective production, especially in the case of low‑strength materials, we offer ball studs suitable for insertion into injection moulding tools and for the process of in‑moulding. 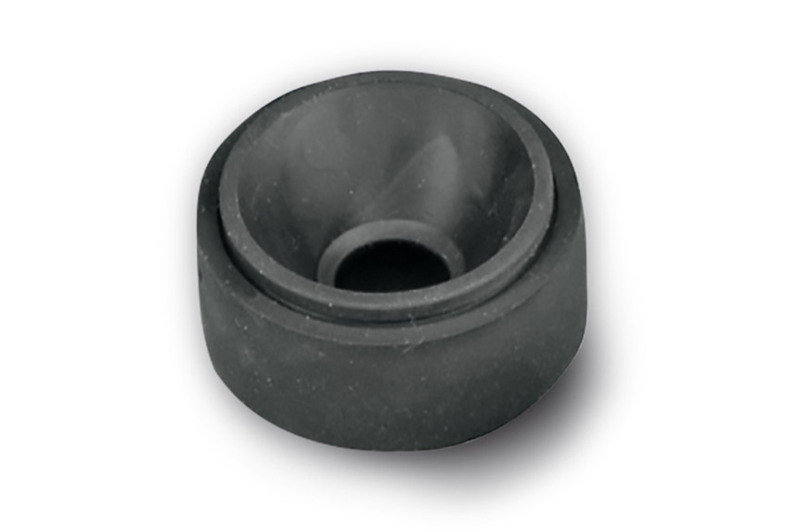 The couplings for mounting domes are designed so that they can be inserted automatically or manually into the corresponding locating holes, without the need for additional tools. Couplings with a collar are designed primarily for fastening in mounting domes but can also be fastened in plates. Due to the geometry of the part, an open bore is preferable. The geometry of these couplings allows them to be mounted by simply being pushed into a specified bore or square opening. 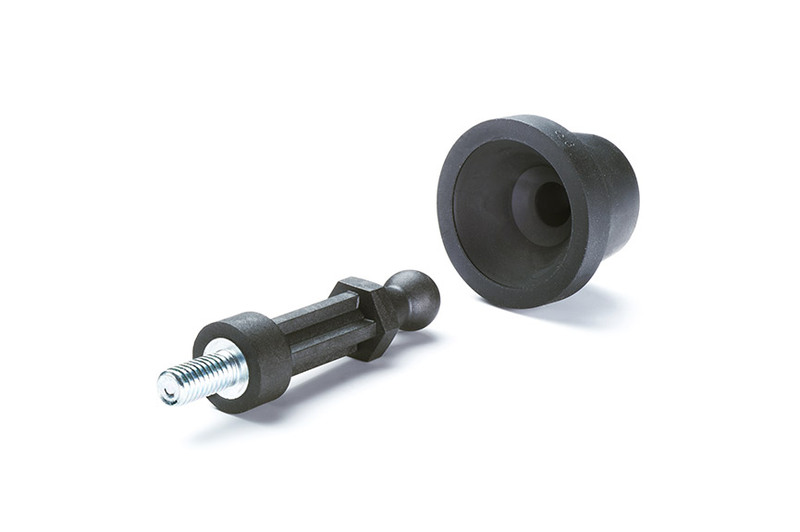 The couplings can be assembled simply by pressing them easily into a mounting geometry. 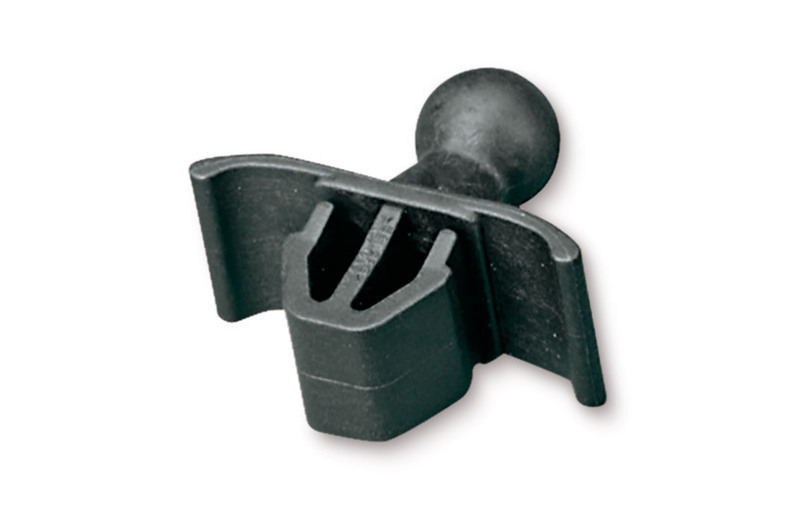 We supply an installation tool for easier assembly. To compensate angular differences, we offer the angular couplings. If the insertion direction of the joining and the fastening level are not arranged to each other in a right angle, the angular difference can be balanced out. This is done by mounting angular couplings and couplings for plate fastenings in the sheet material. Thus, assembly in the insertion direction is possible again.